The best and worst part about the Dakar Rally is its incomprehensible scale, seen here. 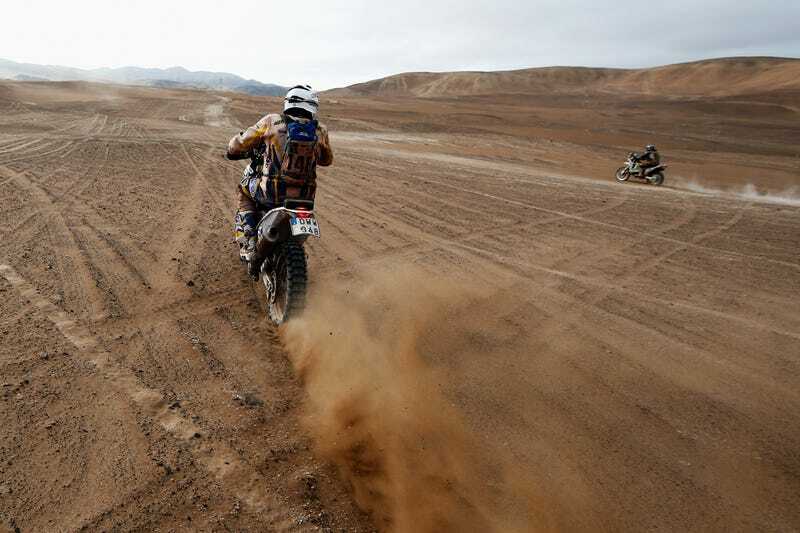 The rider you're looking at is Sweden's Anders Berglund on the #148 KTM, racing across the high Atacama desert in Chile a few days ago. It was the tenth day of the rally, January 13th.